I saw this iron ornamentation on Trinity Church in Copley Square. It appears that different metals were used in its fabrication because of the color of the hand holding the ring. This is so beautiful. Love the work, the rsuty bits and the patina on the hand itself. 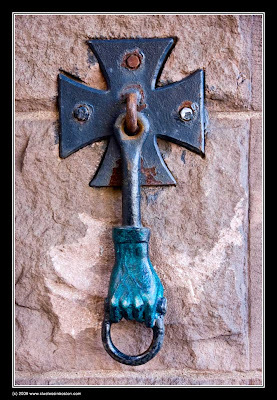 So nice....I think door knockers are great little pieces of useful art.